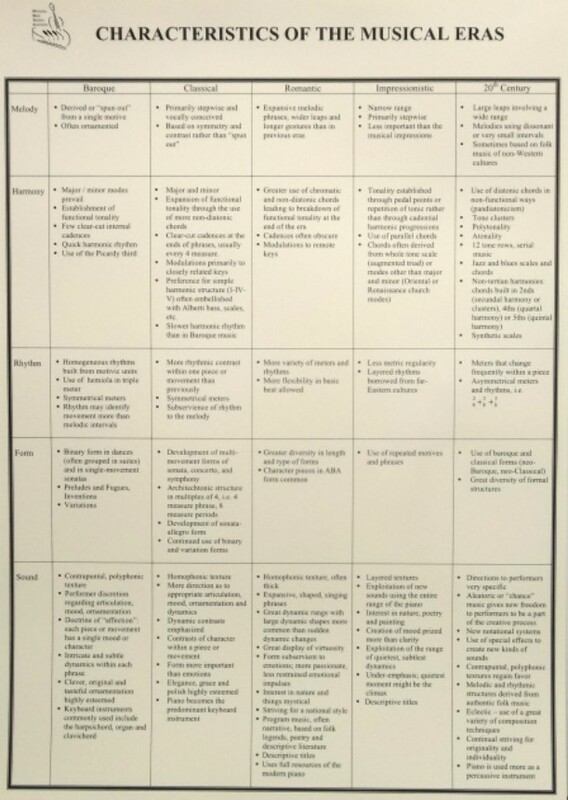 This crisp wall chart outlines characteristics of eras in Western Music. Help students prepare for the oral questions section of upper-level comprehensive piano exams by displaying this chart in your studio. © 2019 Minnesota Music Teachers Association. All rights reserved.